For the 8th consecutive year, our Fast Park Family of Brands will be hosting a food drive during the month of October and we’d like your food pantry to benefit! We have 16 facilities across the nation that will be participating, each donating to their local foodbank. 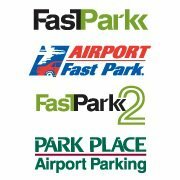 In addition to donating non-perishable food items, Fast Park will also match a $1 donation for each pound of food collected in an effort to fight hunger.